Improved unisex design. 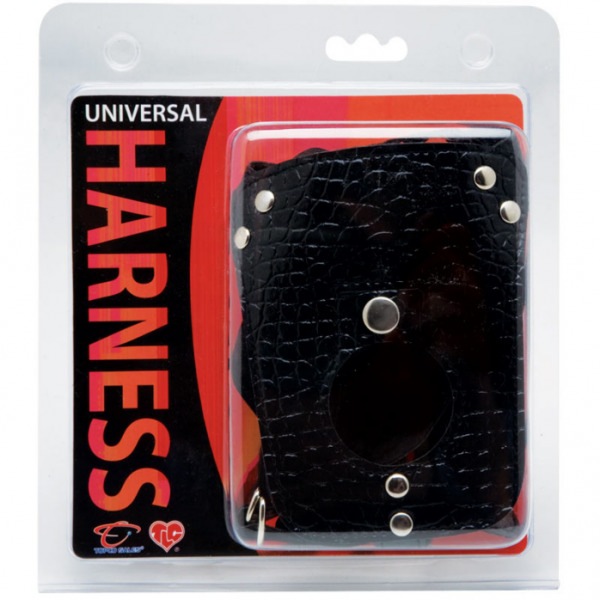 Soft, faux leather universal harness. Can be used with most strap-on accessories. E-Z Snap-Lock allows adjustment and firmly holds all pleasure devices. Soft, velvet-suede washable backing. Universal Harness Faux leather universal harness with velvet lining, adjustable nylon straps fit waist sizes from 19 inches to 45 inches. Harness features a 1.5 inches opening for dong. Not included. Line: TLC Adult Toys. Category: Harnesses, Strap-Ons & Attachments. Sub category: Harness. Color: Black Material: Faux-Leather. 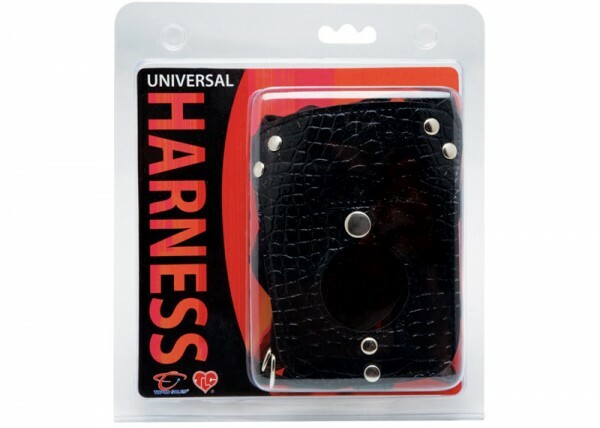 Universal Harness from Topco Sales 2012 Catalog. Chatsworth, California.